The first aqueduct was built by Herod at the time the city of Caesarea-Maritima was founded and brought water from the Shuni spring, south of Mount Carmel, about 10KM to the northeast of the city. The water flowed on a single raised channel. When this was not sufficient, a second “lower” aqueduct was built by the Legions of the Emperor Hadrian (2nd C CE). It brought water from Tanninim (Crocodiles) river. This section, with a tunnel of about 6KM long, was tapped into the older aqueduct, and doubled its capacity and its width. The builders used the same building materials and style, so it may be difficult to see that the pair of channels were built at different times. 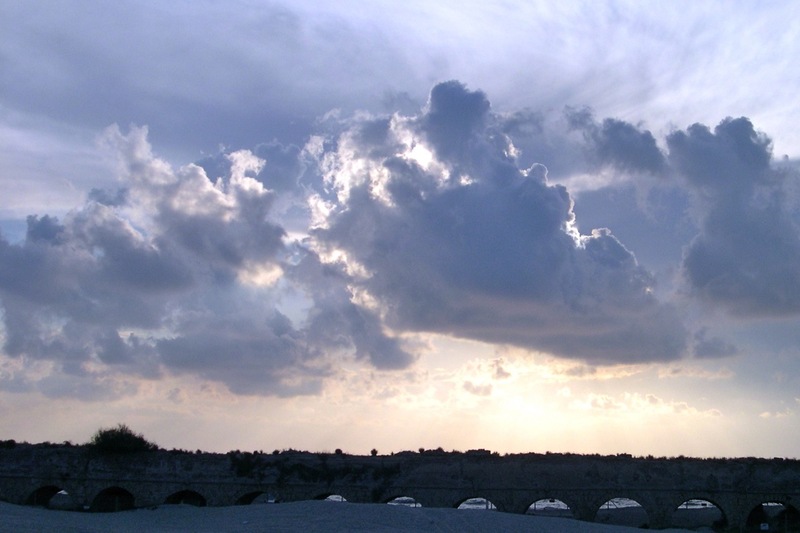 The aqueduct continued to supply water to Caesarea for 1200 years. Just past the entrance to Beit Hanania you can find the northern section of the aqueduct and the second aqueduct (Hadrian) connecting to the older one (Herod). 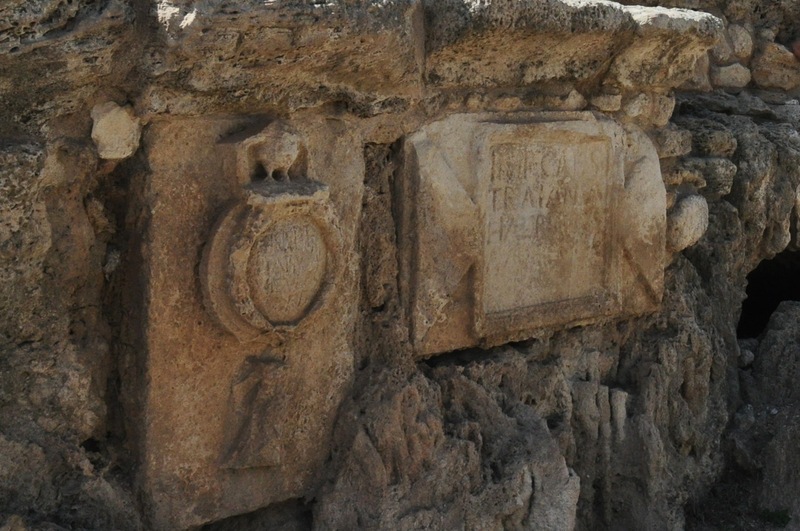 In this section there are two stone tablets that were placed into the wall by its builders, the legion of the Emperor Hadrian. The right tablet clearly shows: “IMP CAES(ar) TRIAN HADR(ianus)”. The other tablet is of the Tenth Legion (the Imperial eagle without its head standing on a wreath). The Israel Trail winds its way beside the aquaduct, through the Arab town of Jizr a-Zarka and then south along the coast to Caesarea. On the beach closer to the Caesarea archaeological park there is another section of the aqueduct. In fact it makes a great hike with the whole family from here along the beach north to Dor or a little further to Habonim. This entry was posted in Archaeology, Architecture, Water and tagged aqueduct, architecture, beach, family hike, Herod, hike, King Herod, water system on November 12, 2010 by Shmuel Browns.